BEAMS is a EU Research and Development project funded by the EC in the context of the 7th Framework Program. Its strategic goal is the development of an advanced, integrated management system which enables energy efficiency in buildings and special infrastructures from a holistic perspective. The project is developing an open interoperability gateway that will allow the management of diverse, heterogeneous sources and loads, some of them typically present nowadays in spaces of public use (e.g. public lighting, ventilation, air conditioning), some others emergent and to be widespread over the next years (e.g. electric vehicles and photovoltaic installations). 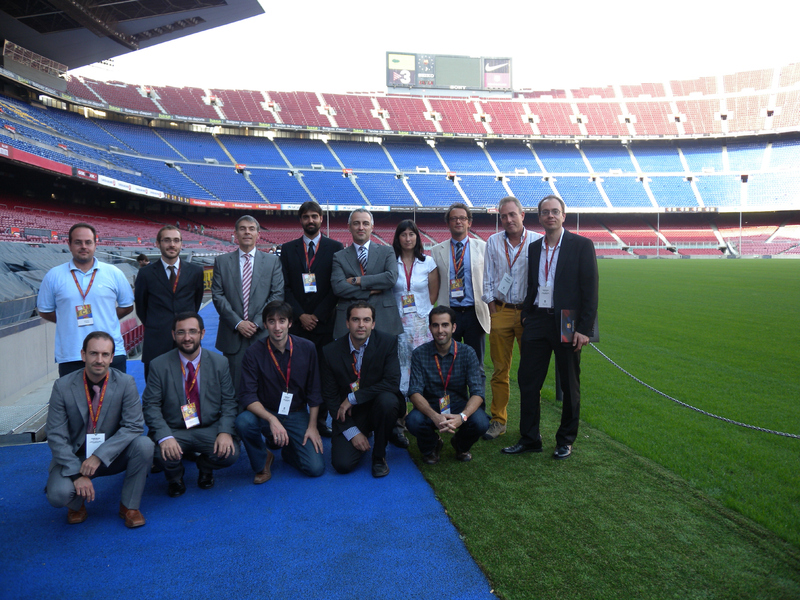 The Kick off meeting was hosted within the facilities of the Football Club Barcelona (Camp Nou). 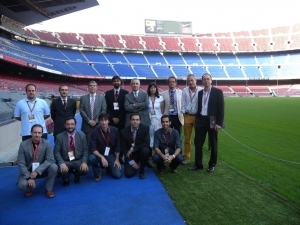 Following the first analysis on requirements and use cases to be address by the project, the consortium had the opportunity to visit the Barcelona sport facilities: the football stadium, ice-skate rink and the football museum. Different loads – HVAC, lights, etc. – were considered to be managed by BEAMS Building Management System. In the course of the project, the first gateway version was developed and deployed. It is now being tested at the pilot sites. The software is based on OGEMA 1.1 and the gateway communicates with a higher-order facility management environment (FAME) over web services. Measurement data is recorded at remote servers. With this setup, experiments are carried out with regards to the BEAMS use cases and energy management of lighting, PV and HVAC devices.